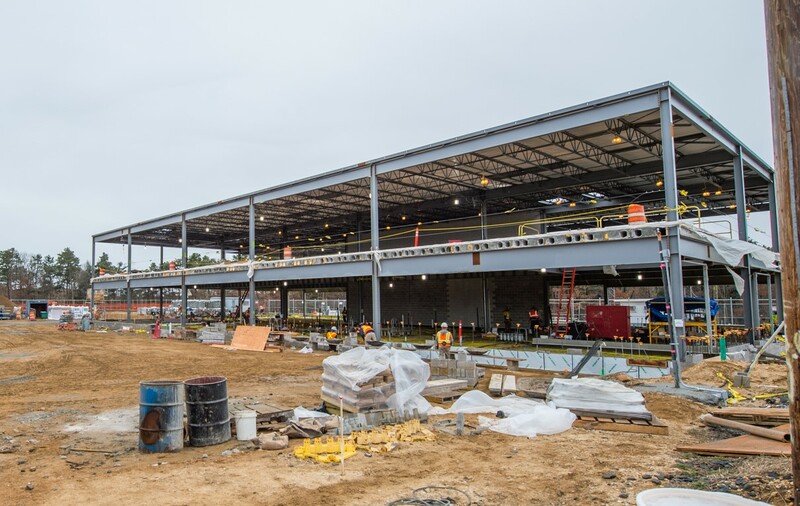 Construction continues to progress at the Mid-Suffolk Yard Train Storage Yard to the east of Ronkonkoma Station, where the LIRR is expanding the Ronkonkoma train storage yard and building a new employee facility to meet the anticipated increase in AM and PM Peak ridership to Penn Station and Grand Central Terminal when East Side Access opens in 2022. 11 new tracks, each with capacity for a 12-car train set, are being added to the expanded yard, for a total of 23 tracks. 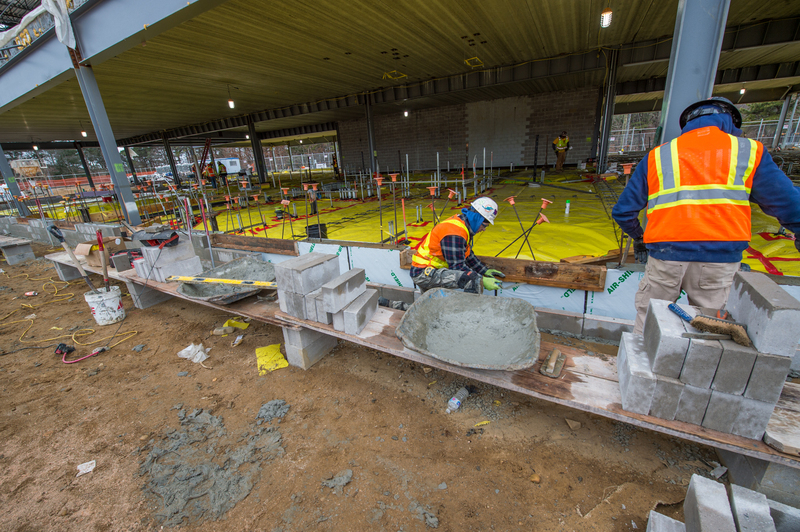 A new employee facility is being built: rebar is being installed at the facility prior to installation of the final concrete deck. 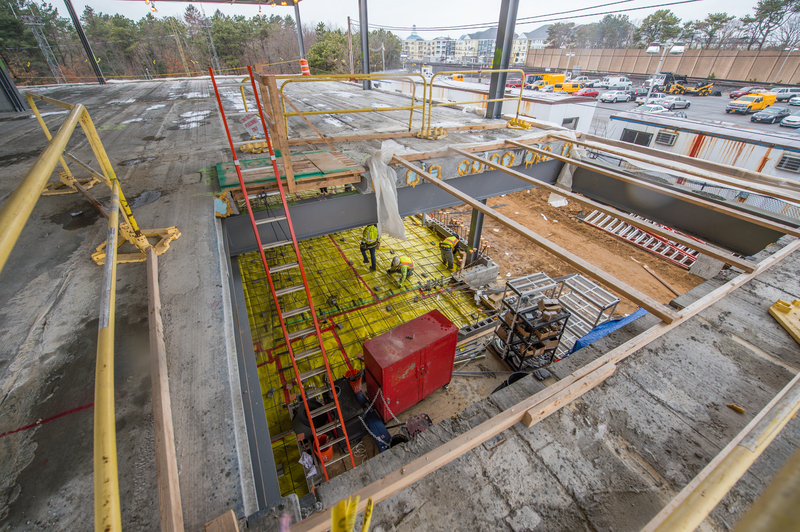 While conduits have already been installed in the building, power is currently being supplied by a temporary feed – no permanent power cables have been installed yet. The design for a new facility power AC substation is currently under review by the State of New York. 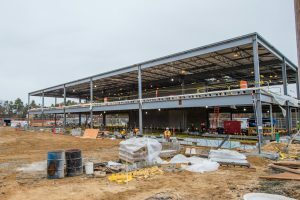 The new employee facility will be 15,900 square feet, and Federal Railroad Administration (FRA) inspections will be performed at the facility. The old employee facility will be deconstructed once the new facility is finished and open. 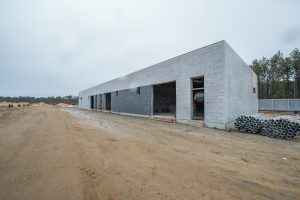 To support LIRR operations, a materials storage building is being constructed to the southeast of the employee facility with bays for track, signal and maintenance. 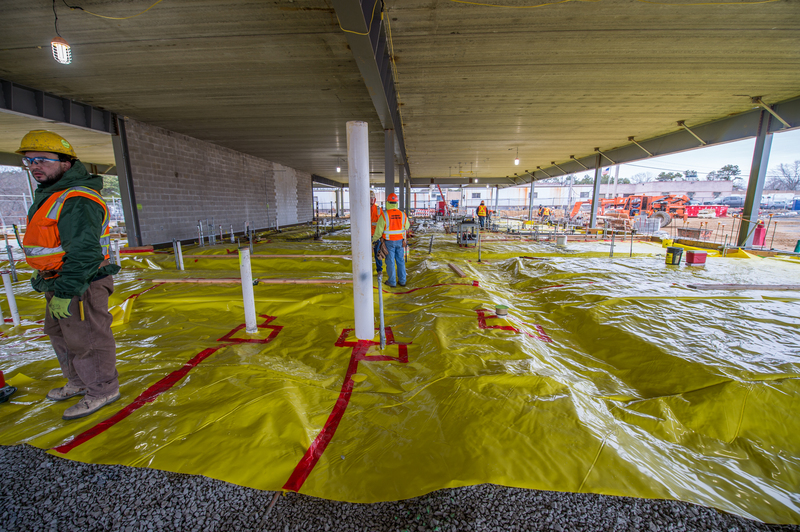 There will be a materials lay-down area to the west of this building, south of the employee facility. There will be an employee parking area along the eastern side of the facility. A new traction power substation, G37, is being built to power train operations at the yard. The mega-substation will be built to replace the existing G36 substation at the eastern end of the yard, which is just about at the end of its useful life. In April, 52 catenary poles will be installed in the yards atop 52 caissons installed in October – these poles are for the light to be strung across the new yard tracks. A green barrier of trees and shrubs will be planted between Railroad Avenue and the yard (there are already trees here), and a retaining wall will be built along the east bound tracks: at its maximum height it will be 15’ and will match the existing grade. The yard will be open 24 hours per day: there will be a guard booth, a swipe-in gate and dozens of exterior cameras for security surveillance. This project will ultimately make travel between Long Island and New York City more reliable and comfortable for LIRR customers. 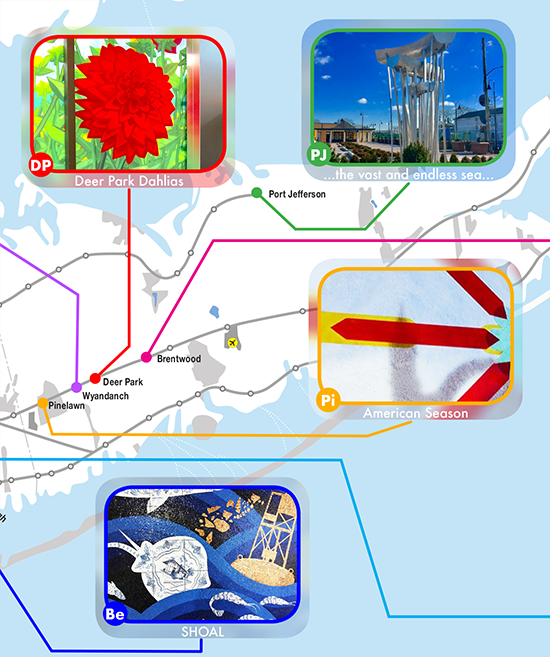 For more information, please visit the Mid-Suffolk Train Storage Yard project page on AModernLI.com – http://www.amodernli.com/project/lirr-mid-suffolk-train-storage-yard/.